There are multiple ways by which a person can manage to enhance their eyelashes. From extensions to using an eyelash curler, none of these is as simple as applying a natural eyelash serum. This is not only the simplest solution, but also the safest. All other options involve manipulating eyelashes in some way that can easily lead to damage and possible infections. Serums like Envyderm Eyelash Enhancement and Conditioning Nighttime Serum however involve the application of a liquid across the eyelid, once a day. It is a process that takes mere seconds, yet within a few weeks will result in amazingly beautiful full lashes. Eyelash growth serums are a great way to deal with thinning or balding eyelashes, by addressing nutritional deficiencies that are making it difficult to properly nourish the eyelid and stimulate strong growth. Envyderm Eyelash Enhancement and Conditioning System is one of the best selling serums on the market because it delivers consistently positive results for consumers, and makes use of all natural ingredients. Ingredients are an important consideration when choosing an eyelash growth serum. Although the serum is applied on the eyelids and lash border, there is always the risk of a small amount getting into the eye. With an all-natural product, there is minimal risk of irritation or other negative side effect. Chemical based alternatives are more volatile and prone to negative reactions by users. These ingredients also include remedies that have for centuries been used by different cultures in the nourishment and conditioning of hair. Some of the top ingredients include in Envyderm Eyelash Enhancement and Conditioning Nighttime Serum are honey, beeswax, green tea, olive oil, coconut oil, avocado oil and aloe vera. Envyderm Eyelash Enhancement and Conditioning Nighttime Serum is a popular product whose effectiveness can sometimes be delayed by the incorrect use of the serum. The product comes in a tube with an applicator brush that is attached to the inside of the cap. Before you apply the serum, you must ensure you have removed any makeup that you had during the day, gently. Wash your face thoroughly to get rid of any dirt. Unscrew the cap and run the tip of the wet brush across your eyelid, at the point at which the lashes grow out. Do this in the same way you would apply eyeliner. 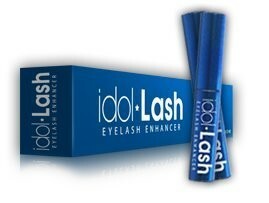 You do not need to soak the lashes or the rest of the eyelid in this product, as it will not help. If you opt to use the serum just on your upper lids, then the product should last you about 6 months. If however you decide to use it on both upper and lower lids, then the usage period will be cut by half to about 3 months. Avoid over-application of the serum, as just enough to wet this line is required. It has a quick drying effect so you do not have to delay going to sleep once you have applied the Envyderm Eyelash Enhancement and Conditioning Nighttime Serum. Remember to apply the serum on daily basis. If you stick to this schedule, you are more likely to see the results around the 4-week mark. If however you skip days, it will take longer for the serum to build up in the eyelid area and you are likely to take twice as long to achieve your goal. One of the key reasons that Envyderm Eyelash Enhancement and Conditioning Nighttime Serum is such a popular product, is because it offers faster achievement of results. Many other top selling natural eyelash growth serums will recommend waiting no less than 6 weeks before checking for results. Envyderm Eyelash Enhancement and Conditioning Nighttime Serum has a much faster acting formula. In reality however, many people do not find any significant change has occurred even after the 4 weeks are over. One of the reasons one may find the results are taking much longer to mature is a failure to follow instructions. Just as with any other eyelash serum, Envyderm Eyelash Enhancement and Conditioning Nighttime Serum comes with a set of instructions on how to apply the product. It is typically used on a once daily basis. When you skip days, you interfere with how fast the component elements are absorbed, and with slower buildup comes slower results. Incorrectly applying the serum may also cause unnecessary irritation that would slow down the process. Be careful to apply the serum to the eye line and do not allow it to drip or be smudged into the eyeball. Another factor that affects the effectiveness of the Envyderm Eyelash Enhancement and Conditioning Nighttime Serum is diet. You cannot expect all nutritional needs to be met by the serum. You need to be absorbing your own supply of necessary nutrients through your diet. The primary foods that influence hair growth are proteins, vitamins and fat. When you consume a balanced diet that caters for each of these needs, you are more likely to see quick results. Medical conditions can also influence the work that serums do. Obesity, hyperthyroidism, diabetes, alopecia areata and cancer can all affect hair growth. It is not just the condition that may have hair loss as a symptom, but also the medications used to treat it. While a person with cancer may not lose hair when diagnosed, they will likely go bald all over when they begin undergoing chemotherapy. Hair loss is a common side effect for any medication. In such cases, the best way forward is to consult with your doctor. There may be medications you can switch to correct the problem, or a period you have to wait before making attempts to kickstart the regrowth of your lashes. A sudden and severe physical or emotional shock can devastate hair follicles in that particular moment and lead to sudden hair loss, including that of eyelashes. It can be a single event, which may take months to recover from. Using the Envyderm Eyelash Enhancement and Conditioning Nighttime Serum can help restore the lost hair faster than if you leave the eyelids alone to heal themselves. As we get older, we also continue to lose hair and color. Graying thinning hair is a common consequence of aging and there is a limit to what even the Envyderm Eyelash Enhancement and Conditioning Nighttime Serum can do past a certain age. While it may helps to preserve the hair you have, loss of color is something that it cannot avoid. How you treat your lashes normally will also impact the effectiveness of the Envyderm Eyelash Enhancement and Conditioning Nighttime Serum. Removal of makeup harshly can cause the hair shafts to fall out easily. Pulling on the lashes when using an eye curler is another problem as it can result in scarring at the follicle. Sleeping face down can inhibit growth and encourage the accumulation of dirt around the eye area, and consequently block pores. If you practice habits that allow for the eyelashes to be gently handled and no transfer of dirt or pressure against them, then you will likely enjoy better healthy growth of longer, thicker and fuller lashes.